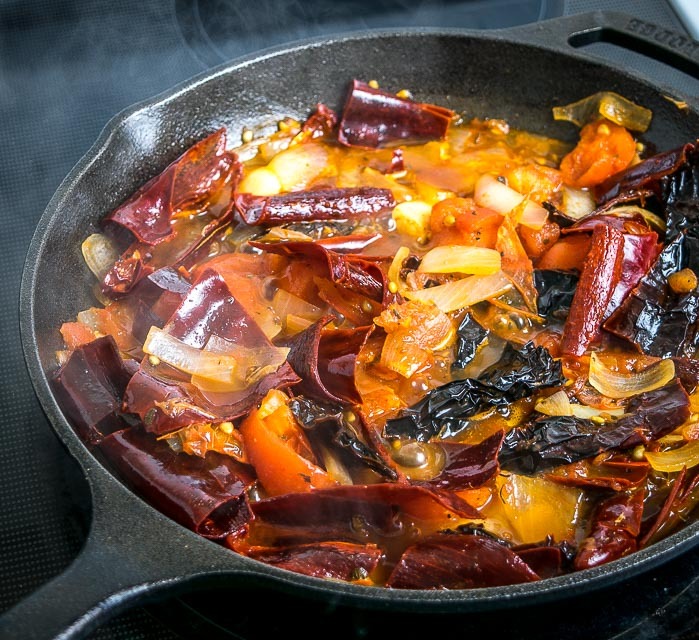 The ingredient list for Salsa Roja will change based on which region you’re in, and who’s cooking it, and what kind of mood they’re in. 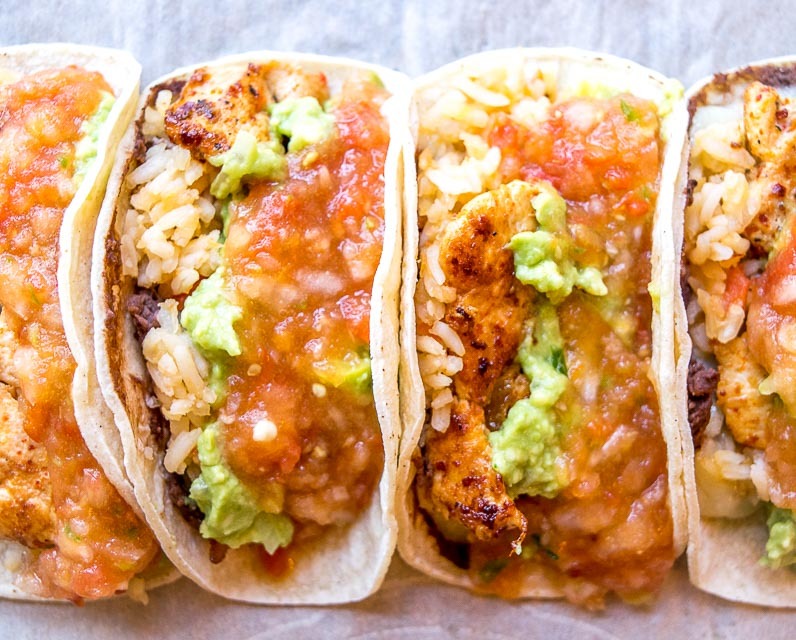 In other words, there are countless interpretations of Mexico’s most common salsa. I’ve been getting questions about it lately, so I wanted to offer up a couple options that should cover you next time Salsa Roja is called for. 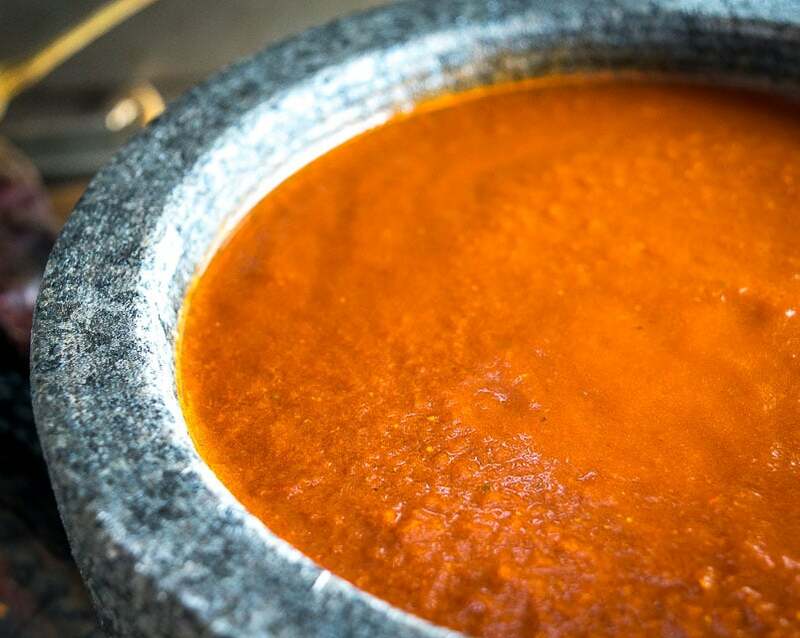 Salsa Roja might sound exotic to gringos but it roughly translates as red sauce, a simple nomenclature that includes any salsa made with tomatoes as the base. If you’re using tomatillos as the base then you’ve officially entered green sauce territory, i.e. Salsa Verde. The easiest version to make is one that uses ingredients that you’ve already gotten in the habit of buying (right?!!). And technically that’s all you need to make an authentic Salsa Roja. But don’t let the simple list fool you, with a few tricks these ingredients will create an unbelievably savory salsa — far superior to anything you can buy at the store. And if it’s the first time you’re making it, add the jalapeno incrementally so you get the heat level to your liking. 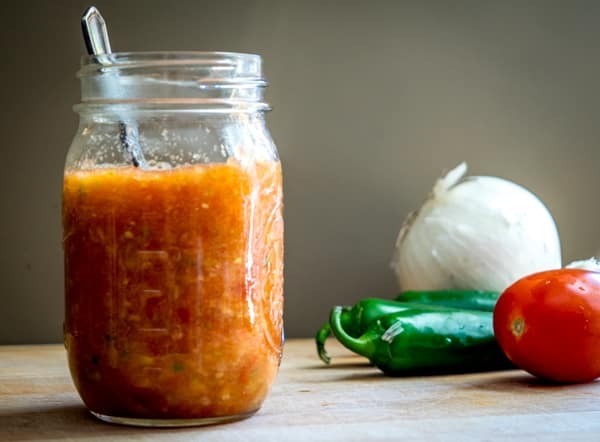 This freshly blended salsa can be so rewarding that salt can be an afterthought — I’d say well over half the time I make it I don’t add any salt to it. If the tomatoes are struggling then you can add a pinch. Instead of the all encompassing Salsa Roja, we tend to call this version Tomato-Jalapeno Salsa — you’ll find it gooped on all sorts of dishes across the site, with a special nod to Chicken Tacos. Click here if you want to see the recipe box for that version. It’s a workhorse that gives you tremendous return for very little effort, and as long as you get the heat level to your liking it will always be towards the top of your list. Keeping that option in mind, let’s head to the other end of the Salsa Roja spectrum where you’ll find some fiery concoctions that have more concentrated flavors. You can think of these as topper sauces. They lie somewhere between a bottled hot sauce and a chunky sauce like the Tomato Jalapeno Salsa above. You’ll also frequently see these salsas made with dried chiles, so that will be our starting point for this version. That’s 6 Guajillos and 3 Anchos. Guajillos are mild in nature and usually prefer a dance partner, so you’ll frequently see them paired with Anchos. But first throw 3 tomatoes in a 400F oven and let them roast while you work on the other ingredients. 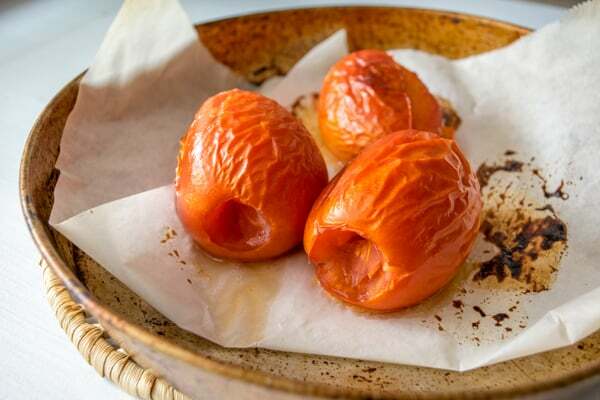 This roasting step will become habit once you taste the difference — it lowers the acidity of the tomatoes and sweetens them up a bit. Normally these tomatoes need about 20-25 minutes in the oven, but for this version I tend to just pull them out when I need them because there’s a simmer coming up on the horizon that will give them a final blast of heat. 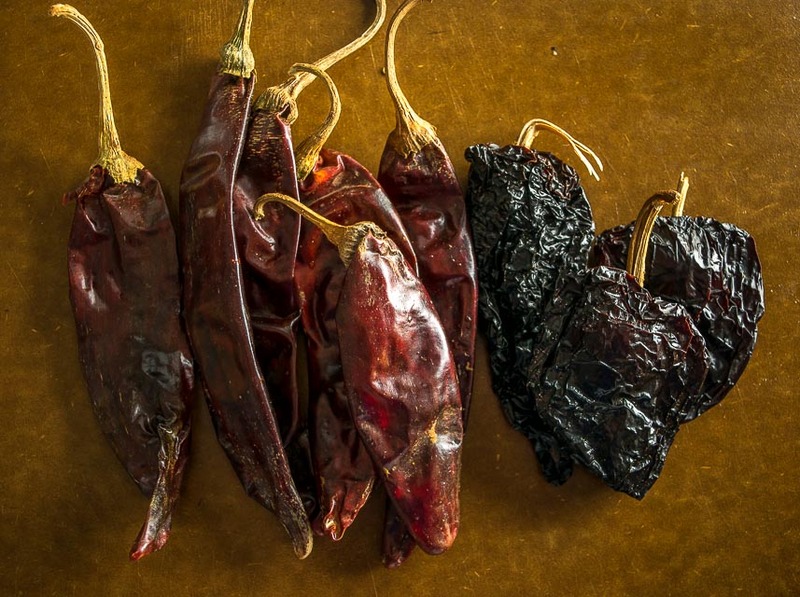 Okay back to the chiles…start by wiping off any dusty crevasses with a damp towel. To de-seed them it’s easiest to cut off the stems and make a slit lengthwise, then just use your hands to pull out all the seeds and ribs. We’ll eventually strain the sauce so don’t worry about getting rid of every last seed. 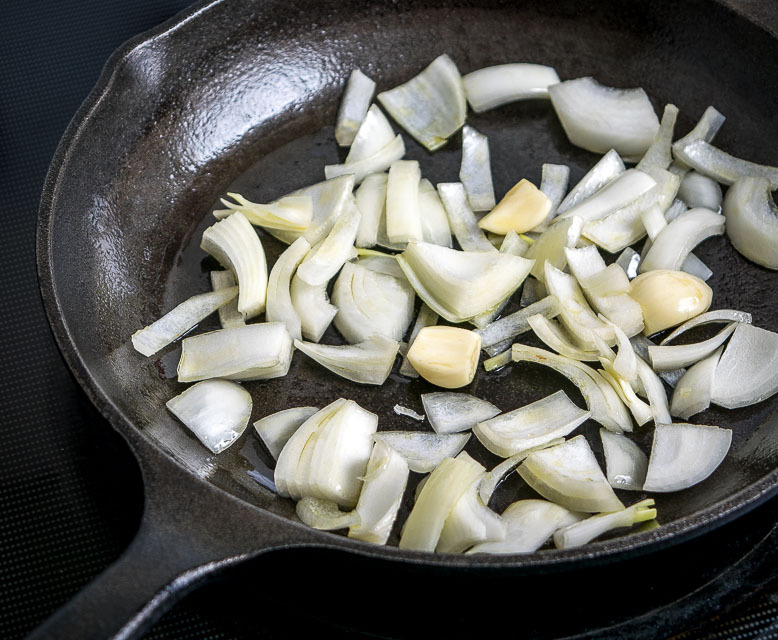 Meanwhile, saute 1/2 onion and 3 whole garlic cloves in a big dollop of oil. 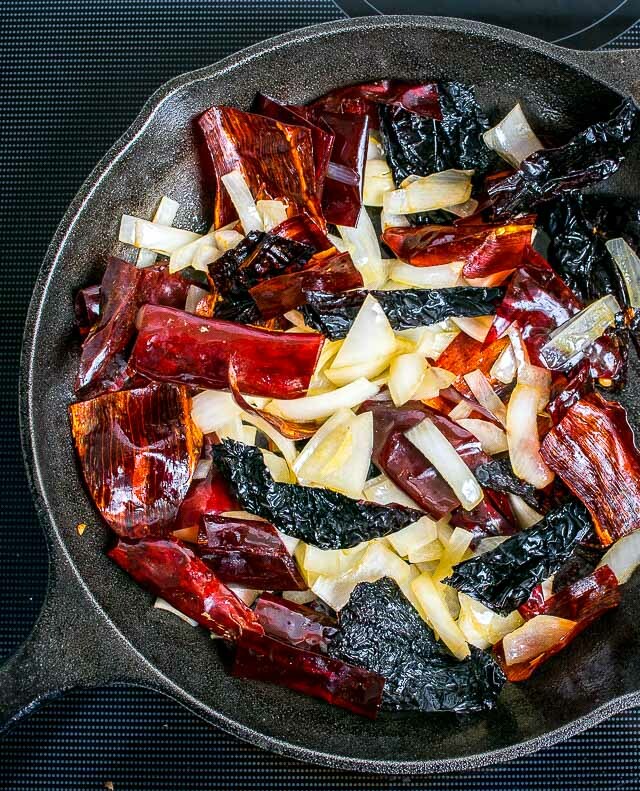 Once the onion is getting tender add the dried chiles. For crowd control it can be easiest to cut the chiles up into smaller pieces. Let the chiles cook for a few minutes over mediumish heat, just enough to wake them up. Let this simmer for 5 minutes or so and then add it to a blender and give it a good whirl. Strain the sauce over a mixing bowl and discard the leftover solids. You might have to use the back of a spoon or spatula to push the sauce through the strainer. 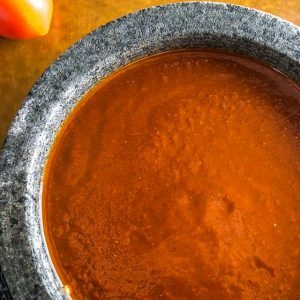 You’ll end up with a fiery, concentrated Salsa Roja that is hoping to be used in moderation on grilled meats, breakfast dishes, and fingers. Definitely take a final taste for salt level, I added another small pinch to this batch. 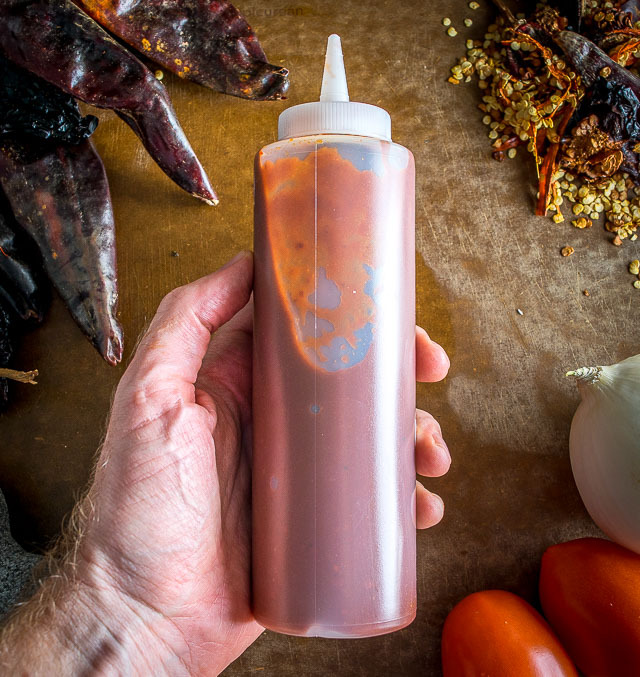 Salsa in a squeeze bottle might officially turn your home kitchen into a taqueria — this recipe will make a bit over 3 cups worth and that will easily fill one of these. I’ll put the recipe box below for this more concentrated version of Salsa Roja. 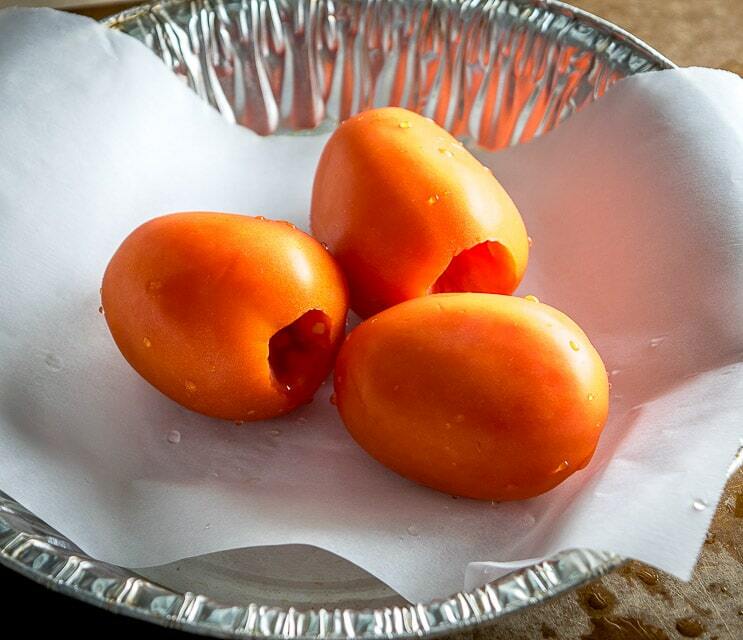 If you want to see the recipe box for the Tomato Jalapeno version you can find it here. Okay, let me know if you have any questions about the world of Salsa Roja. At the very least, just know that there is a Salsa Roja version out there with your name on it. Once you get comfortable making a version that suits your palate you’ll find all sorts of uses for it. Said another way: many good things will happen. 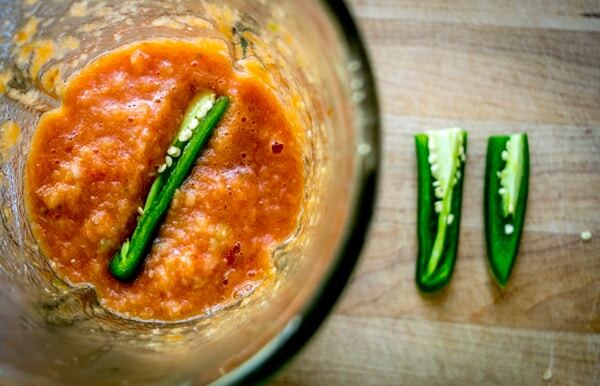 Here's a simple recipe for a fiery, concentrated batch of Salsa Roja. Start by roasting the tomatoes in a 400F oven. 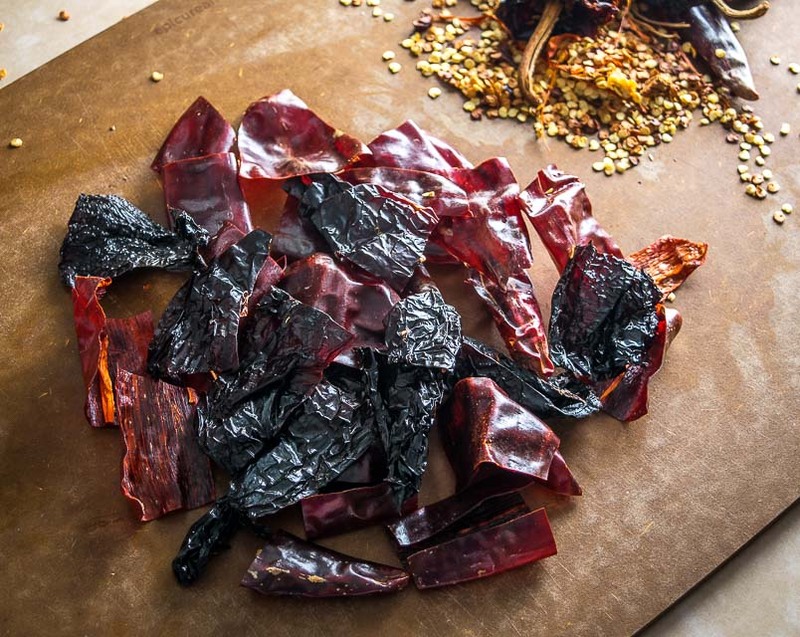 Use a damp towel to wipe off any dusty crevasses on the dried chiles. To de-seed them it's easiest to cut off the stem and make a slit lengthwise, then use your hands to pull out the ribs and seeds. Simmer for 5 minutes or so and then add everything to a blender and combine well. 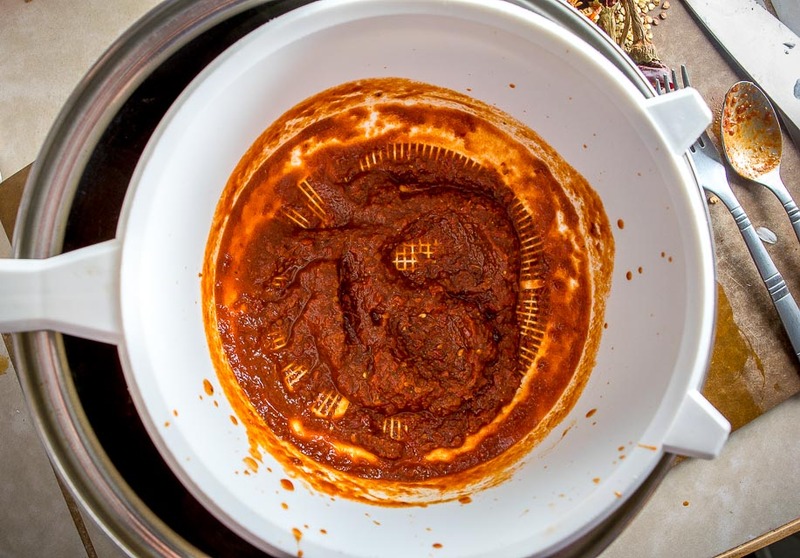 Strain the sauce over a mixing bowl and discard the leftover solids. You might have to use a spoon or spatula to push the sauce through the strainer. Taste for salt level. I added another pinch of salt along with a splash of cider vinegar. Serve immediately or store in an airtight container in the fridge (in a squeeze bottle!). If you don't have Mexican oregano on hand I would probably just omit it rather than using regular oregano. Normally tomatoes need about 20-25 minutes in the oven to fully roast. When there is a final simmer involved, as there is in this recipe, I tend to just pull the tomatoes out of the oven when I need them, knowing that the simmer will add a finishing blast of heat to them. 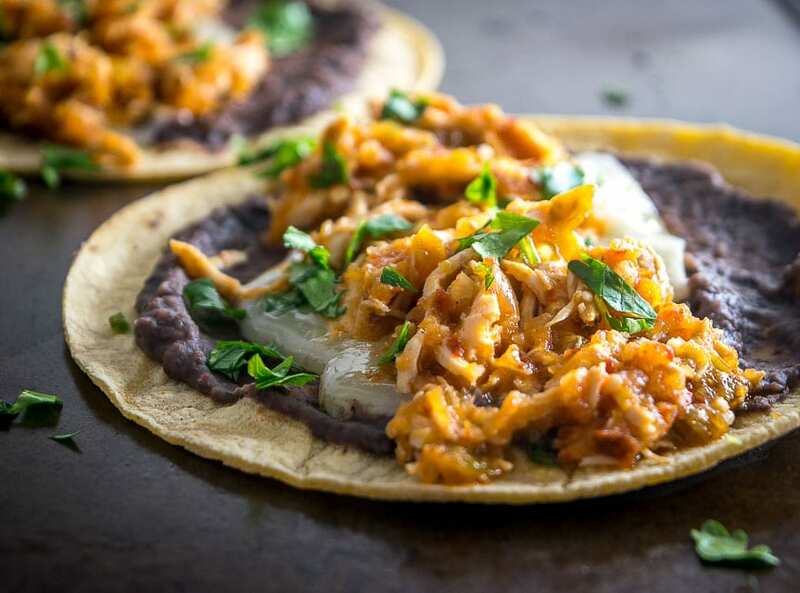 Our latest recipe is a batch of Spicy Chicken Tinga. I make it the same way except I make the dried chili sauce seperately, with nothing added to it, and freeze it to use as needed. 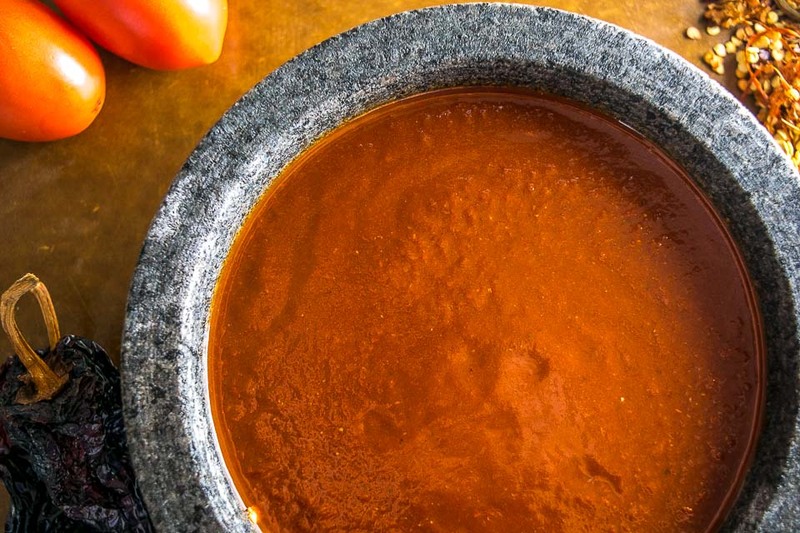 One big batch of chili sauce can be enough for many batches of roasted tomato salsa. Ahh this is awesome, thanks for your note David, I might start doing this too. Cheers. I assume you have a comments section but I have not found it. Will you please tell me how to do that? Thanks. I am very much enjoying your recipes. Am currently on a refried bean and salsa sandwich kick, thanks to you. Hi Steffanie, you’re in the right place! You were the first person to comment on this post so that’s probably why you don’t see any other comments for it yet — I put the comments section at the bottom of my posts so you’ll always be able to find it there. Ha awesome, I love those Molletes sandwiches, I also really like how you can make them for very little $$$. Cheers. Thanks so much for the feedback Terry! I’m with you on that one — I could easily put a straw into these salsas and drink ’em up. Oh awesome thanks for your note Jofi. I’d love to try this salsa with some moritas — putting it on the list! Cheers. I tried this recipe and omg I was surprise at the outcome. So flavorful!!! And it went well with the carne Asada taco I made. Everyone loved it! Oh nice, sounds like a perfect combo! Cheers.